Porcelain Veneers--Are They Right For Me? When you look at your photos, do your teeth look good? Do you find yourself hiding your smile because you don't like how your teeth look? If your smile isn't as attractive as you'd like, you may be a candidate for a smile makeover with porcelain veneers. This dental treatment is one of the most effective and popular ways for Plano, TX men and women to attain a straight, white, symmetric smile. A thin porcelain shell, cosmetic veneers fit over your real teeth to mask gaps, hide cracks and stains, as well as cover missing, crooked, or asymmetrical teeth. Porcelain veneers are so popular because they look natural, function like real teeth, and offer a quick, effective smile makeover. At Parker West Dental Associates in Plano, our experienced dentists can work with you to create a custom approach to attain a dazzling smile with this advanced dental treatment. First and foremost, it is important that candidates for veneers have healthy teeth and gums. Dental problems such as decay, cavities, gum disease, and plaque must be treated before you can receive veneers. Since the veneers are bond directly to the teeth, optimal oral health is key for their application and long-term success. Masking aesthetic concerns is easy with veneers, but larger problems can occur if decay or gum disease is masked along with them. At our Plano, TX dental practice, we’ll make sure your teeth and gums are healthy and ready to have porcelain veneers so that that your teeth not only look gorgeous, but more importantly, are in the best health possible. Most men and women want veneers to correct cosmetic concerns such as minor cracks, chips, stains, gaps, or misshapen teeth. While some dental treatments, such as cosmetic bonding, teeth whitening, or orthodontic work may be enough to correct these issues, porcelain veneers can treat multiple issues at the same time with beautiful results. Veneers can also be a good option if you have deep or dark stains that cannot be lightened, even with laser teeth whitening. During your consultation, we will address how many dental issues concerns you and decide if veneers is your best option to create the smile and look you want. While nothing is ever really perfect, porcelain veneers can get you pretty close to perfection. In the earlier days of using veneers before dentist skill, experience, and technology became more advanced with this treatment, veneers actually made teeth look “too perfect”, which actually caused them to look fake. Today’s dental veneers are custom made to look natural so others may notice you look better, but they won’t know exactly what you did. While porcelain veneers can be used to improve your smile dramatically, you may want to keep some of your personality. For example, if the gap in your front teeth is your defining trait, but you want it to be less prominent, your veneers will be designed to match this goal. Every set of veneers is customized for the patient, which includes sizing, spacing, color, and more. Microdontia is a term that most people have not heard of before, but it is often a hereditary condition where the teeth are shaped abnormally small and typically have large gaps. If you have this, your smile may look like it’s still full of baby teeth. Even if small teeth and gaps aren’t affecting your oral health, you may not like the appearance of your teeth because because they do not make you look as “adult” as you’d like. Dental veneers are a great choice for patients with microdontia. Veneers can give you a beautiful smile that matches your other facial features. Bruxism, more commonly known as teeth grinding and jaw clenching can cause significant damage to your oral health. It can lead to tooth fractures, chips, as well as dental misalignment. This is not only a problem for your natural teeth, it will affect the porcelain veneers you just invested in. If you have signs of bruxism, we may recommend a night guard to protect both your veneers and teeth. You may even find that you sleep better with a custom night guard! 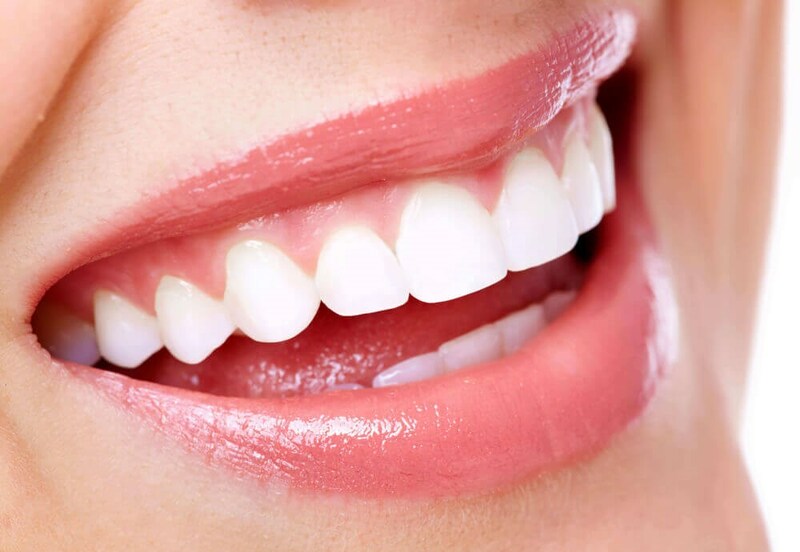 Cosmetic veneers from Parker West Dental in Plano are made with high-quality porcelain that is strong, but they still require ongoing proper care. You should treat them just as you would your real teeth. This means avoid chewing on hard candy, ice, or other hard objects. You should brush and floss, with proper technique, to maintain the appearance of your veneers and the overall health of your mouth. It is also important that you maintain regular dental exams, check-ups, and cleanings each year. During these visits, we will also assess your veneers to make sure they still look great, fight right, and are functioning properly. What About Other Possible Treatments? At your initial consultation at Parker West Dental, we will review your cosmetic dentistry options, including dental veneers. Depending on your needs and goals, you may be a better candidate for bonding and contouring, professional teeth whitening, or even a restorative procedure. We want to make sure you are clear about all of your options and will assist in this process to make sure you have the best choice for your oral health. Our Plano, TX dental practice offers many advanced dental procedures that can be combined to create your smile makeover. Porcelain veneers are the solution for so many Plano area men and women who desire a gorgeous smile. Whether you are bothered by dark stains, chips, missing teeth, or a combination of issues, veneers may be your solution to a brighter, straighter smile. Once you’ve considered all these points and you are ready to take the next step, we invite you to call our dental practice in Plano, TX for your personal consultation. We will ask about your aesthetic goals, examine your mouth, and recommend all of the options before helping you decide if porcelain veneers or another cosmetic treatment is best for you.